11 Insanely Awesome Ways to Style Your Sweatpants! Sweatpants are the new cool, that everyone has got them in their wardrobe. 1. 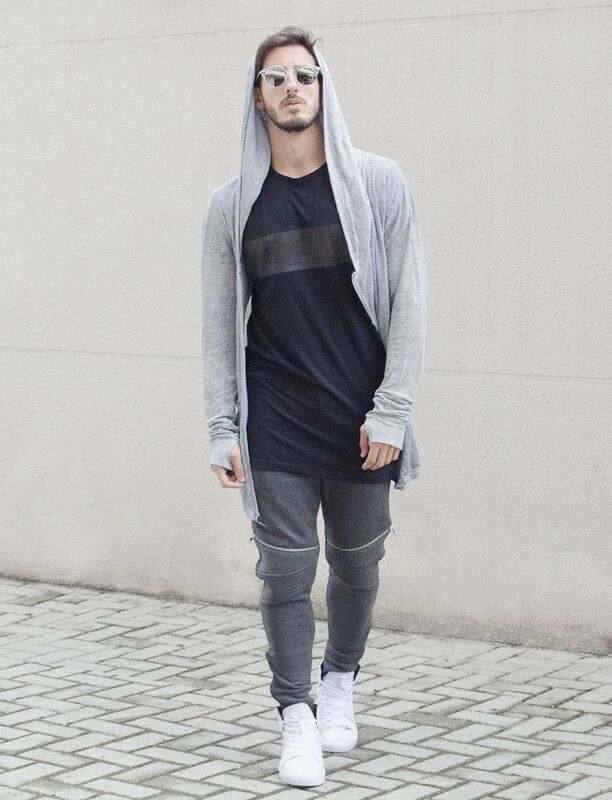 Grey Sweatpants styled with Black Full Sleeves T-shirt and a pair of Black Sneakers gives a relaxed look. 2. Sweatpants styled with Long T-shirt and a pair of White Sneakers. 3. GOO NAVY- Navy Blue Sweatpants styled with Navy Blue T-shirt paired with Navy Blue Tassel Loafers. 4. The Combo of Charcoal Sweatpant styled with Tan Blazer,Tan Waistcoat,White Shirt and a pair of Leather Boots makes it look stylish. 5. Grey on Grey – Grey Sweatpant styled Grey Full Sleeves T-shirt and a pair of Red Shoes. 6. 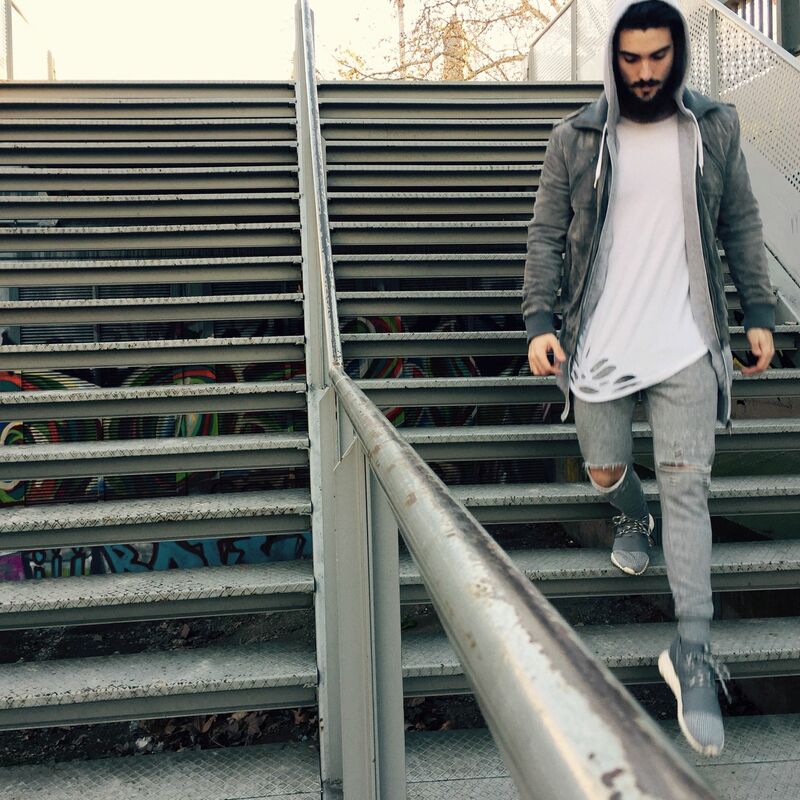 Ripped Grey Sweatpant styled Leather jacket and a pair of shoes gives a total grey look. 7. Blue Sweatpant styled with Grey Long Sleeve T-shirt , Navy Scarf and a pair of Grey Socks gives a perfect weekend look. 8. Black sweatpants styled with sweatshirt and sneakers. 9. Black sweatpants with white tshirt styled with jacket and sneakers. 10. Burgundy sweatpants with plain black tshirt. 11. Sweatpants suit with trench coat – a perfect travel wear.